There are quite a number of water filtering system providers in the UAE. Some of the top running companies among them are Sachisa, Kent Water Filters, Livpure etc. These water filtering system providers offer from basic filters to sophisticated RO and other technologies to the customers of UAE. Let us have a look at some of these highly popular water filter providing companies. Sachisa water filter providers - The tagline of Sachisa company is Think pure, Feel Pure & Drink Pure and truly enough these companies provide filters that are highly efficient in producing pure drinking water. As mentioned earlier, this company relies on Reverse Osmosis or RO technology. Therefore, you can rest assured that all the heavy metals in the drinking water will be removed. Once you buy their product you can enter into an AMC or Annual Management Contract, which will help you to get their maintenance service every year, after the warranty period of the water filter is over. Kent Water Filters – This company is highly popular in the offices. The reason is that this water filter can purify up to 8 litres of water per day. This way it can cater to a huge number of employees. This company has used RO technology to provide not only pure but healthy water. The filters provided by this company takes care of the fact that the minerals of water which are useful for digestion are not ripped off from the water. Ecolife – This company has been run by family members and this legacy still continues. This company has adapted a lot of new technologies to evolve water filtering technology. Some of these new technologies are UV technology, Electrostatic precipitators, etc. This company constantly tries to incorporate the latest technology to improve the customer experience. Pristine Water – One of the unique property of this company is that they have separate treatment or filtering mechanisms for rural and urban areas. Sometimes the problems with water filters are that due to prolonged use over time, mosses and algae developing in the water supply system also prevail after filtering the water. In order to prevent that, this company offers algae prevention technologies. 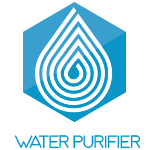 Aquaguard – This water filter providing company has a long legacy and that is why they call themselves water doctor. A lot of new mechanisms in water filtering technology was proposed by this company. Nonetheless, one issue with this water filter that has been observed by the customers is that the water filtered by Aquaguard many times contain high iron content. What is the Difference between Water Filters, Water Purifiers and Water Softeners? What is the ideal frequency to change the filter of your water purification system?